A Perfect Rack to storage your Kayak, Paddleboard, SUP Board, Snowboard, Wakeboard, Surfboard and Ski, Save Space, Maximum Capacity is 200 Lbs, Foam Protected. Can Hold up to 200 Lbs Kayaks, Mounting Screw and Wall Anchor are included. 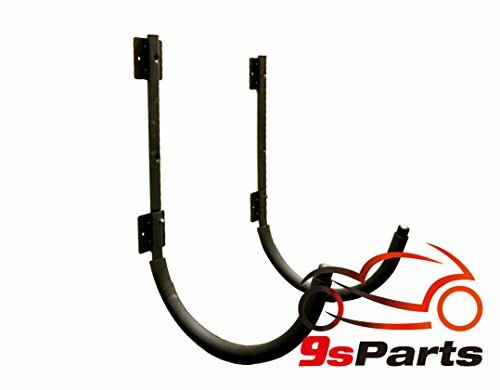 Size of each hook is about 15.25" x 3" x 25"
Life Time Warranty, Genuine Product from 9sparts, Buy with Confidence. If you have any questions about this product by 9sparts, contact us by completing and submitting the form below. If you are looking for a specif part number, please include it with your message.